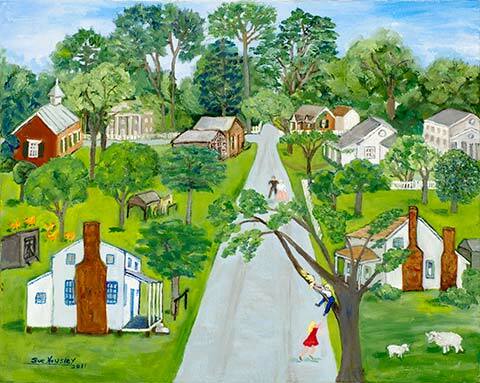 I live and paint in Mooresville where inspiration for a painting is endless. 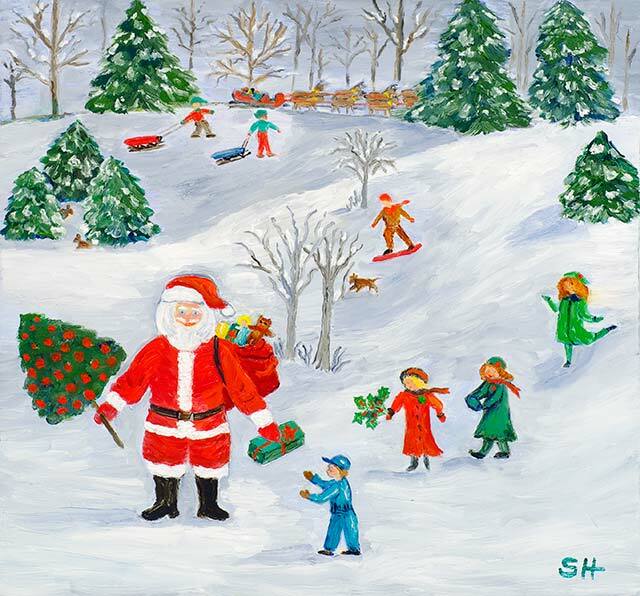 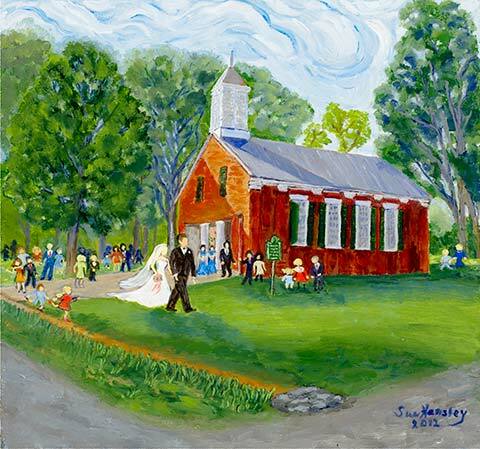 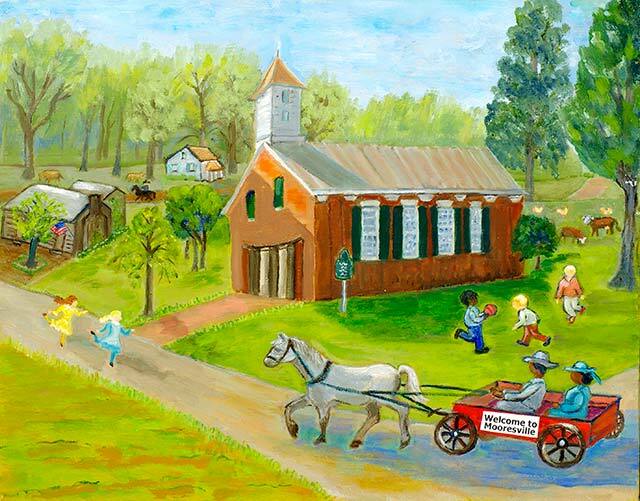 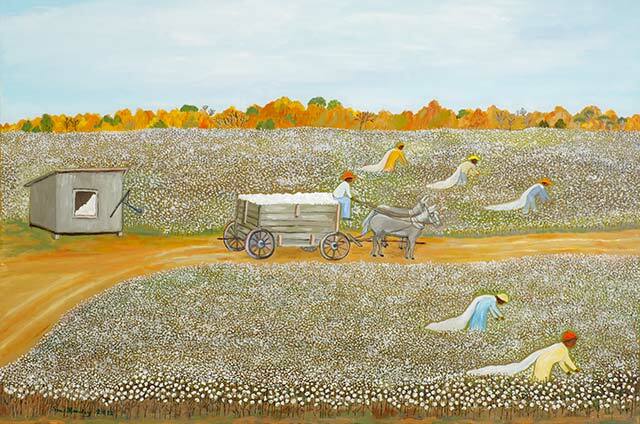 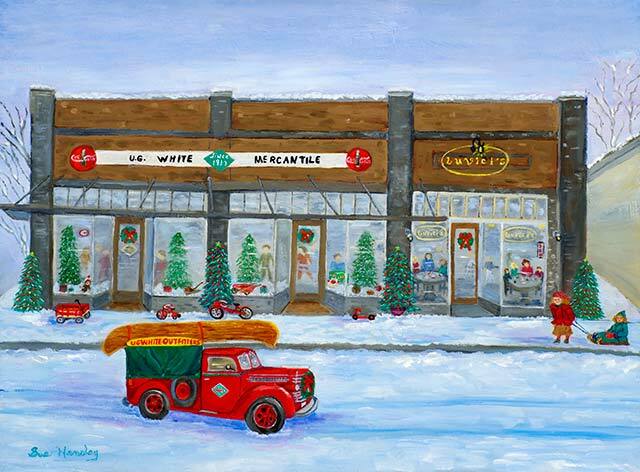 Adding a theme, plus people and animals, to a painting of an antebellum building makes a delightful folk art painting. 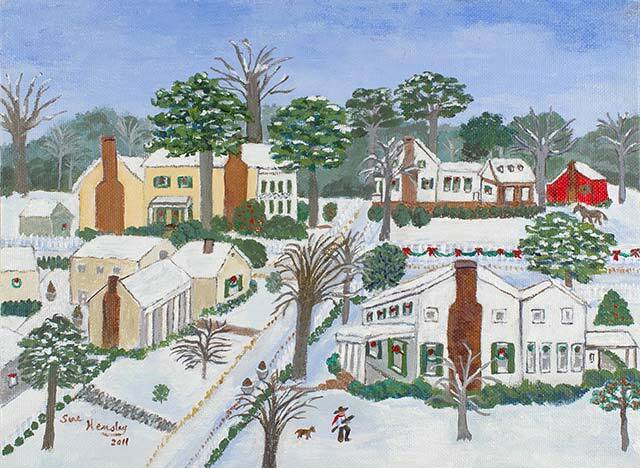 Should I say instead that I love to paint Mooresville. 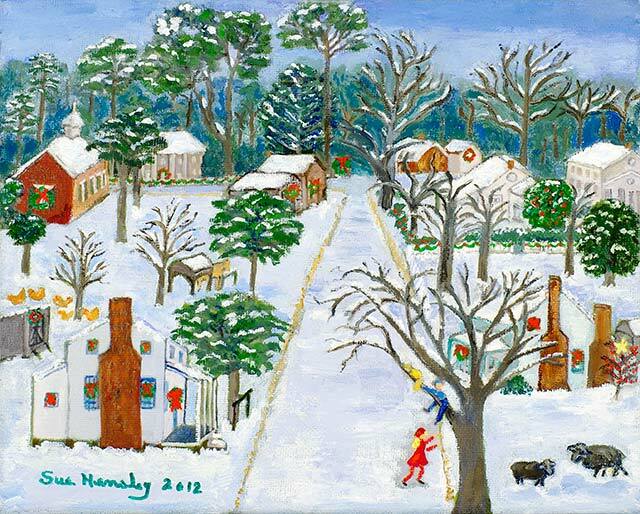 My studio is in the backyard of our home on High Street and was build by a doctor as his office in 1870.